Back in 2013, tuning company Callaway Cars promised us that it would soon begin making shooting-brake conversions on C7 Chevrolet Corvettes. Soon didn’t exactly come soon enough, but here we are, nearly four years later, staring at the face of Callaway’s Corvette wagon. Just look at this beauty! Callaway Cars, a company known for getting its hands on Chevy cars to modify them, came out with concept sketches of a shooting-brake conversion to a 2014 Corvette Stingray way back when. We waited for more than three years to see that vision become a real car, and wow—totally worth it. Say hello to the C21 AeroWagen. The shooting-brake modification for C7 Corvette coupes. The best news is, you can get the shooting-brake conversion without having bought a Callaway Corvette. 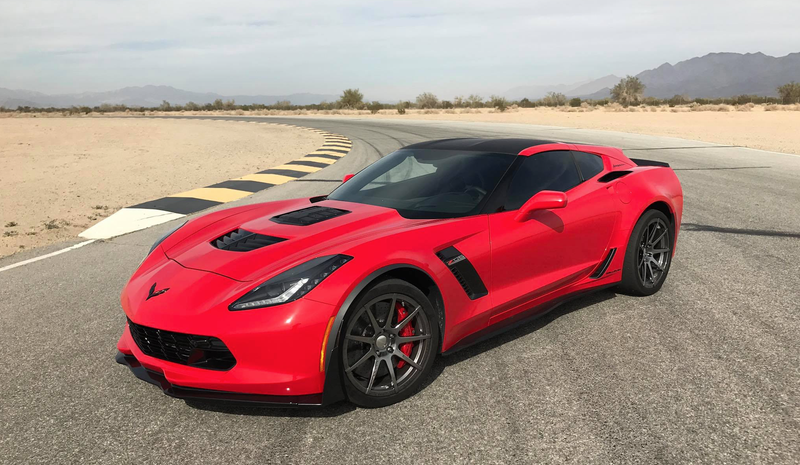 It’s available to stock Corvette coupe buyers as well, and all coupes from the C7 generation can be modified into the glorious Corvette wagon of your dreams. The conversion can be undone, too, if you’re completely and totally masochistic. There won’t be a four-door AeroWagen, and Callaway Cars says bumping your Corvette out into a wagon won’t allow for rear seats due to the Corvette chassis and such. But really, who needs more seats when your car looks like this? Wipe the drool from your mouth. People are watching. The Callaway C7 Corvette Shooting Brake Conversion Is Real, Rejoice!